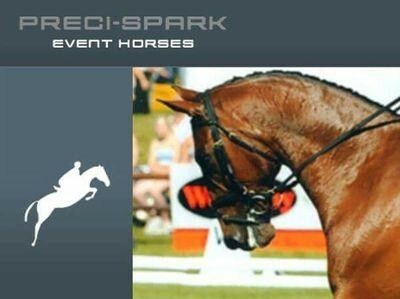 The Preci-Spark Ltd.breeding scheme is based on foundation mares with natural proven ability, then selecting stallions to complement their attributes. We greatly believe in establishing families of excellence. Much is made of the stallion when looking at a horse, but we believe that the importance of the mare cannot be underestimated.Our first was Trebetherick, ridden by our then stable jockey, Sarah Cohen at Badminton. Trebetherick (Posy to her friends) is out of Coolmore Clarine, by Bolivar. Having proven her ability, Trebetherick is now very much part of our breeding program, having already produced 6 foals to date. The oldest, Treboy, was by embryo transfer and is now being successfully campaigned by leading British rider Oliver Townend, having been initially produced by Emily Lochore. Our second 4* homebred was Treason, out of Welton Lady by Hand In Glove. Treason finished 19th at Burghley in 2013, also with Sarah. The third was Trevalgar II, out of The Wexford Lady by Fleetwater Opposition. He completed Adelaide in 2015 with Katie Roots.. We currently have a very exciting string of young home breds from 4yo to Advanced which we are very excited about and hoping that some of these will be our next 4* campaigners. 2 full time live in members of staff to replace two wonderful girls who are off to Uni. We are on the lookout for 2 full time live in members of staff to replace two wonderful girls who are off to Uni. Our immaculate yard is set in beautiful surroundings. The accommodation is warm, modern and self contained and there is a good weekly wage. We need people who:have experience working on a yard, happy to handle fit competition horses and do all normal yard duties. Someone who loves horses and isn't afraid of a bit of hard work would be a dream! No room for own horse unfortunately as all boxes and barns are full!! Please get in touch!